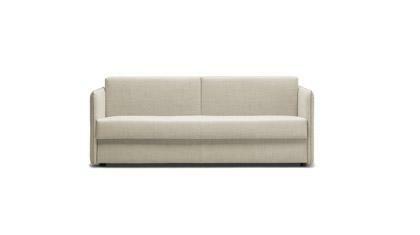 Teseo Promo is a sofa bed with an additional pull out bed, suitable for small spaces. Choose your cover and color. Add the item to your cart. Do you need some help? Do not hesitate to talk to us. We are please to assist you in answering all your questions. 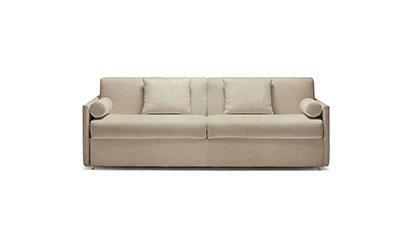 The sofa bed Teseo combines elegance und practice in a small size. 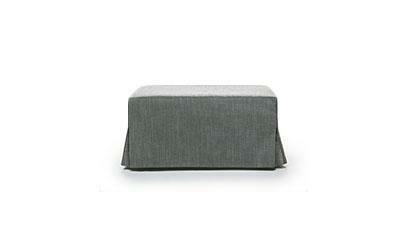 The seat hides a soft and comfortable polyurethane foam mattress, suitable for everyday use. It is possible to pull out the extra bed and to get easily a double bed or two practical and comfortable separate single beds. As an alternative you can get the sofa bed with a pillow and blanket storage. Teseo Promo will offer you an exclusive relax thanks to the orthopedic and ergonomic electro-welded mechanism. The pull out double bed is ideal for small rooms or as an additional extra bed. Teseo Promo has a completely removable and washable cover. BertO Shop in online and you can get the quality of BertO fine upholstery tailoring. Choose cover, pull out bed or storage, fabric color and add Teseo Promo to your cart. If you need some help or special sizes, please contact us. We will assist you in answering your questions. Upholstery: available with fabric cover. The cover is completely removable.